As an artist, I try to make my posts colorful, imaginative, stimulating. But every once in a while I have to focus on the informative function of my entry. I wanted this one to be beautiful too, but… Well, let’s say that this time I’m not going to beat about the bush. 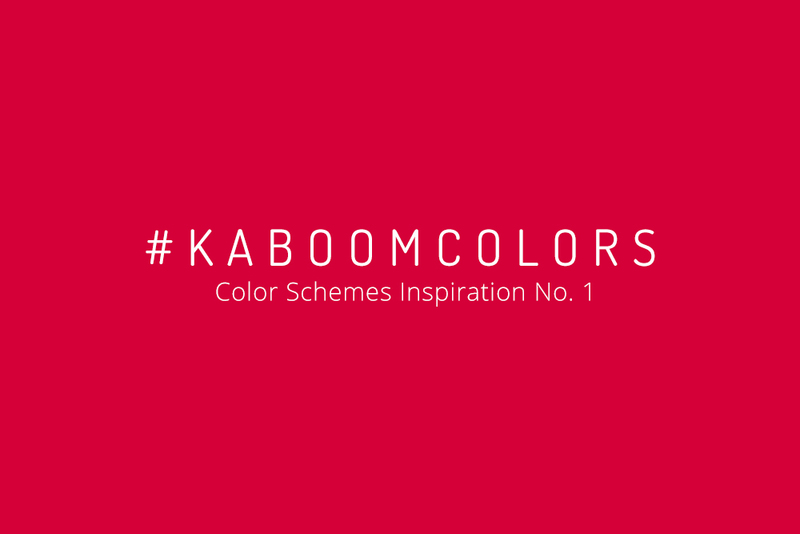 I’m going to present to you one of the most useful and (at least in my opinion – ingenious) features of Kaboompics – The Color Palette. Let’s say that you’re a web or a graphic designer, an architect, a blogger, or just a statistical John/Jane Smith, and you find yourself in a situation when you have to determine the combination of colors for your project, or you simply don’t know what colors you should pick to paint your bedroom. To put it simple – you do not feel comfortable with this topic and you have no idea where to begin. You open the gallery, browse through the photos, choose a picture that suits your taste and (Ka)boom, magic starts to happen. Right next to the photograph, you have a display of six colors that dominate in the photo. You can just copy their hex code and use in a program or you can download the graphic with this photo and colors in it. What can you do with this graphic? 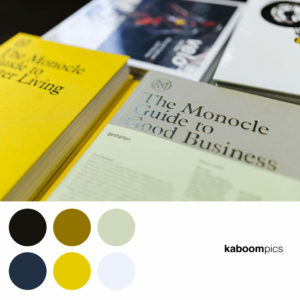 You can use it in the article on your blog or present to your client a proposition of the set of colors with the ready-made visualization (pretty realistic! 😉 ) You may also create a mood board basing on this graphic. You can use them both for private and commercial projects. 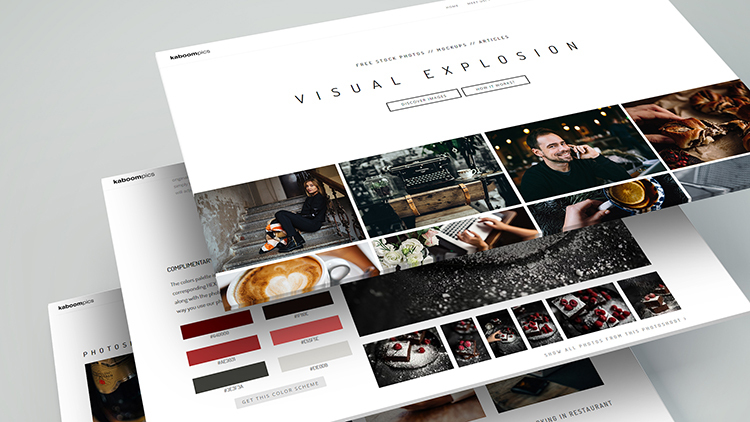 Publish them on your website, blog, social networking profile – whenever you like. You can even print them (once you’ve done that, don’t forget to send me a picture via email, or tag it on Instagram. I would really enjoy that. 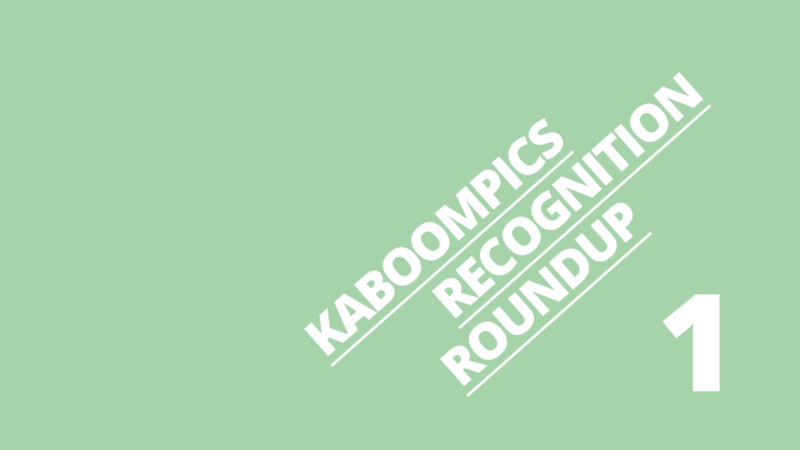 Considering the fact that at Kaboompics you can find over 4200 photos (and the number is growing! 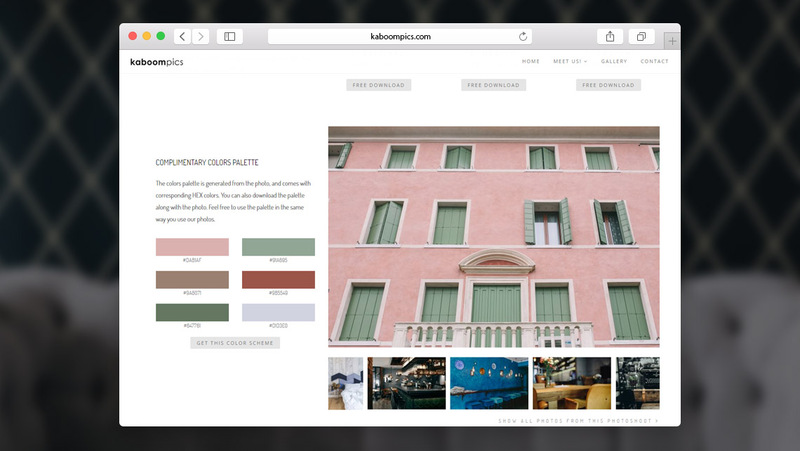 ), you really have a lot of palettes to choose from. Oh! You can also find yourself in a situation when you would like to paint your bedroom pink (or any other color but let’s face it – pink suits bedrooms :P) but once you start to look for accessories to place in your lovely chamber, you realize that you don’t have the slightest idea in what color should they be. Fortunately, there is a solution to this – enter the gallery and search for the right color. The photos with this color will be displayed, and once you click a picture, you will receive a palette of colors with the one that you need. Why the combinations of colors from the pictures are cool? Because you will always find something that fits your needs. For example, if you want a safe option because you’re afraid of coloristic bloopers, then select the picture from the category of nature. An image in which you can see something shaped by the Mother Nature herself. She is the best expert with the greatest experience, so it’s worth to put your trust in her. 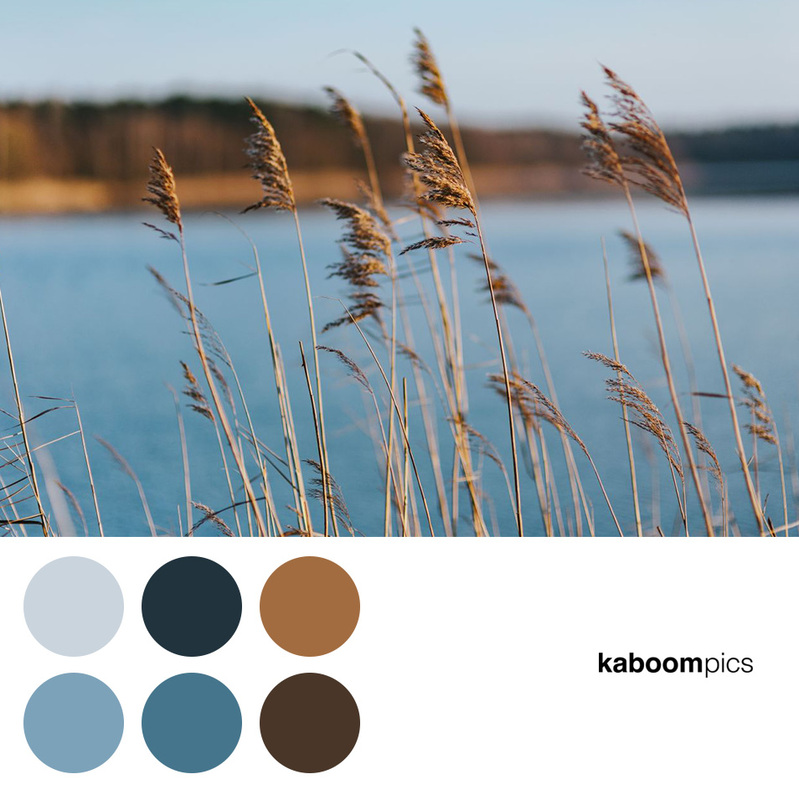 The color palette created on the basis of the view of the forest or mountains or the beach and the ocean will always be nice and pleasant, and above all – solid. In the rest of the pictures, especially those where I or one of my full-time stylists were doing the arrangement and color management, the situation is a bit more complex. You need not worry about the slip-up, but remember that you may find more crazy compilations in these palettes. However, for me, the color is an extremely important factor in the process of shooting, so I always make sure that every detail is top-notch. 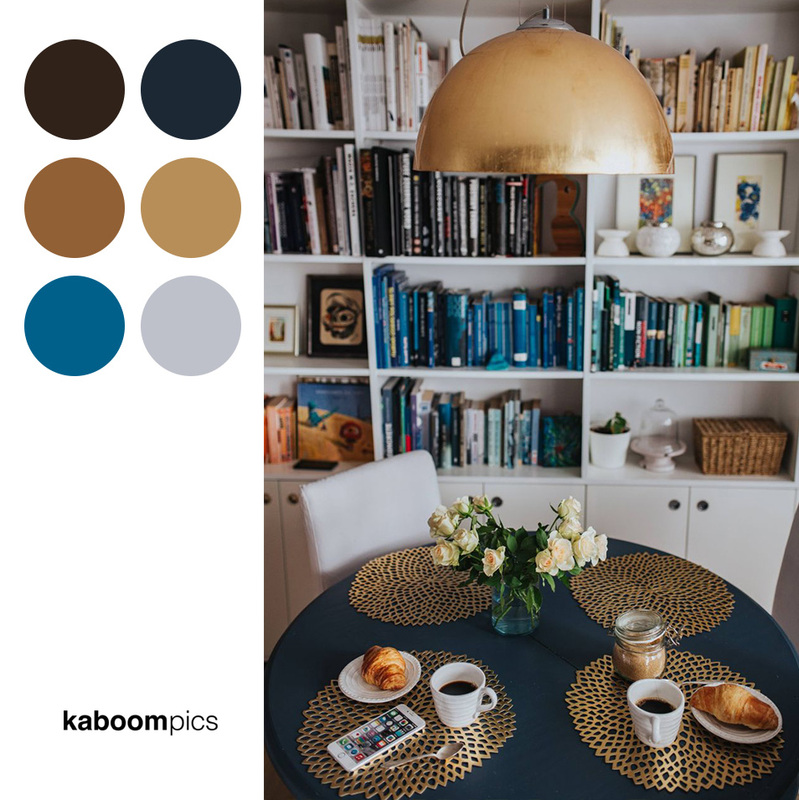 Due to the fact that I spent a lot of my time photographing interiors, at Kaboompics, you’ll find a lot of inspiration for the interior design. 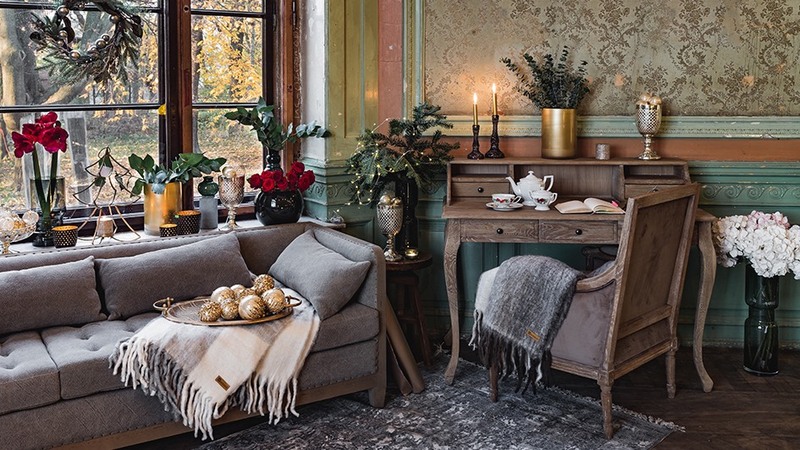 Thus, apart from the color palette, you can also find here lots and lots of ideas for arranging your home. I always try to keep the coloristic trends, I closely study the Institute of Pantone recommendations and draw my inspirations from the fashion shows. My stylists learn from the best in the business during various events, like SALONE DEL MOBILE.MILANO, an event that sets the latest trends in design. I have to admit that I’m very proud of this feature. I believe in its functionality and I’m sure that it can solve any coloristic problem that you may be struggling with. Lastly, I would like to encourage you to visit my Kaboompics Gallery and merrily wander among the photographs that wait for you there. I guarantee that it will be a mesmerizing experience. 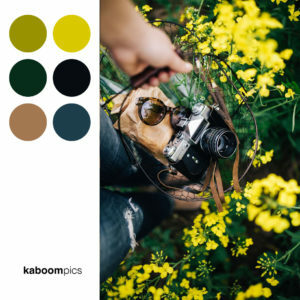 If you find any photo particularly to your liking, click the “Get This Color Scheme” button, and the colorful graphic will be downloaded straight to your device.